Private villa rental 6 pers. with pool in smooth concrete treated naturally, completely renovated and decorated by Designer, equipped with all comfort, an indoor kitchen and an outdoor kitchen overlooking garden and pool, 3 master suites with each bathroom and private toilet (2 king size beds and 2 twin beds), air conditioning, TV lounges, terraces and Thai sala. In a bubble of serenity, peace and well-being, meeting the Thai culture and the local people, explore an authentic Thailand far from the usual clichés, where the smile and the simplicity brighten the heart! Paradise for cyclists and nature lovers, Le Jardin des Oiseaux is an ideal starting point for many tourist excursions (Ko Samet and Ko Chang islands, temples, traditional markets, ecovillage, botanical garden, cave, national park Khao Laem Ya ...). Le Jardin des Oiseaux is located in one of the regions where the weather is the most favorable in Thailand. Discover Ban Phe (Rayong), 2 hours east of Bangkok, and 2 hours from Cambodia, at the edge of the sea along a huge sandy beach in the Gulf of Siam. 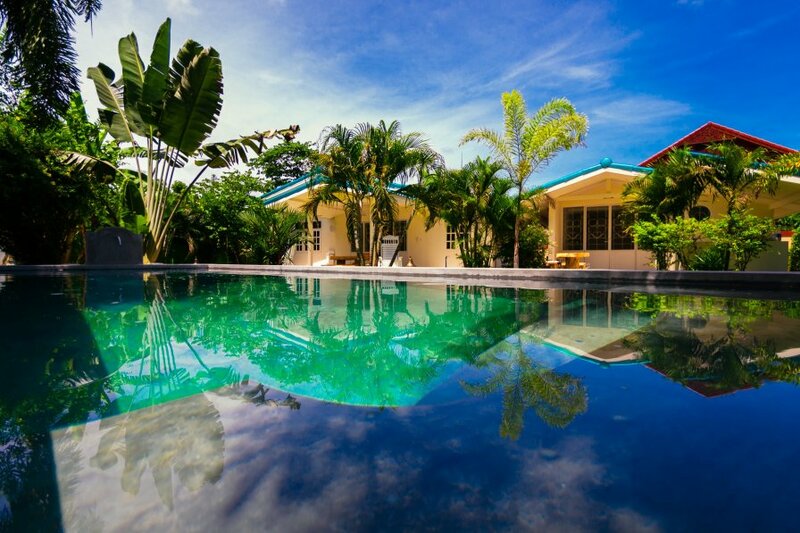 In the heart of a beautiful and lush nature, 3km from the seaside (12km of beach), in an authentic Thai neighborhood, nestled in a beautiful walled tropical garden (with guard and private parking).